You are here: Home / Crafts & DIY / Beauty Recipes / How to Make Felted Soap! 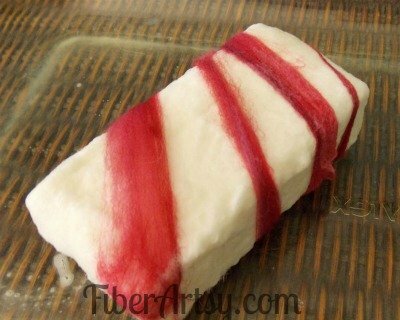 How to Make Felted Soap! Why put fiber on soap, you ask? Because it makes a great scrubby! You can exfoliate and wash your skin at the same time. 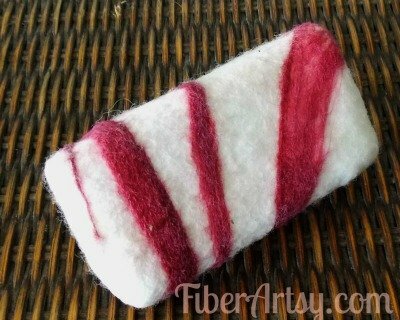 Felted soaps also make wonderful gifts. Take your wool roving and spread it out just enough so you start to see the table underneath. Not too thin though, you don’t want gaps in your fiber or the soap will show. Lay the soap in the center and wrap the fiber around it, tucking in the ends. Check for any holes in the fiber and add more as needed. Next, sprinkle the fiber with hot water and gently start rubbing it. Do this all over the soap until the entire surface is thoroughly wet. Check for spots where the soap is showing and add more fiber, if needed. Now is the time to add any decorations such as stripes of a different color fiber. Wet these and gently work with your hands. Carefully put the soap in the nylon hose. Sprinkle again with hot water and gently rub the soap all over. Alternate sprinkling with hot and cold water and continue working the fiber. You will feel the fiber begin to firm up. Continue working the soap for about 10 minutes. When you can’t feel any loose fibers on the soap, gently remove the hose. 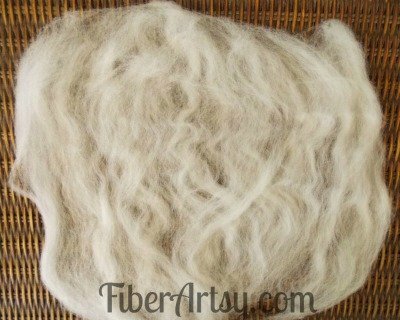 Your fiber should be well felted. If it is not, continue working it as above. Rinse the soap and set it out to dry. 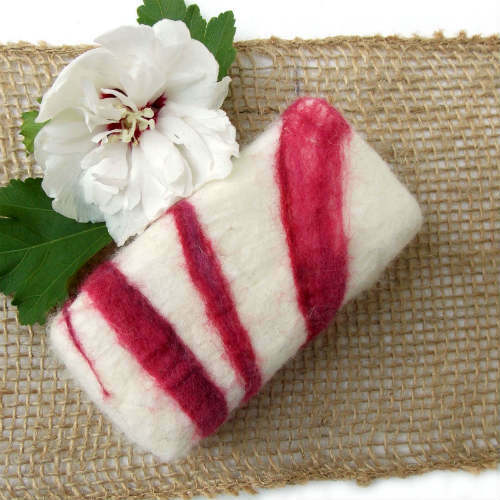 Add a pretty bow and your felted soap becomes a great gift! Huh, this is neat. I had never heard of felted soap. Pinned it. I felt my homemade soaps. I make cold processed and hot processed soaps and then felt over them. My question is that after a few uses my soaps are staying very soft almost like a gel. They do not dry out between uses. Any suggestions? That’s very interesting, Vicky. 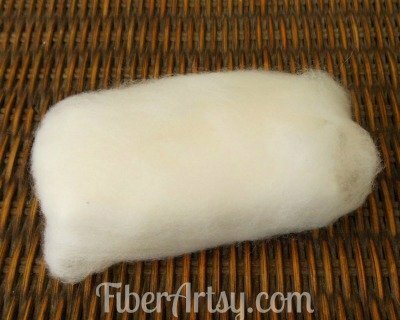 I’ve only felted over store-bought soap and have not had that issue. Would you be able to use less liquid in the soap you plan to felt? This is a great one to start with. Also, it’s a good kids project. Great tutorial! I have seen these before, but have never made one. Might have to give it a try. Thanks for sharing this! Gotta try this! WHOA! I didn’t know such a thing even existed. I’ve never tried felting, but I love making soap. This would take my spa baskets to a NEW level! I’m not super familiar with felting though, is just rubbing and sprinkling with water what makes it felted? What happens to the felt as the soap shrinks with use? These would be perfect for a spa basket, Kayla! Especially, if you felt over your handmade soap. It’s very easy, really. The two things that make fiber felt are extreme water temperature changes ….going from hot to cold, and agitation. Working it. Just like when you accidentally wash a favorite sweater and it comes out 10x smaller. The felt shrinks with the soap which is also great. Give it a try. If you have any questions, shoot me an email at kyblue (at) bellsouth (dot) net. Let me know how it turns out! 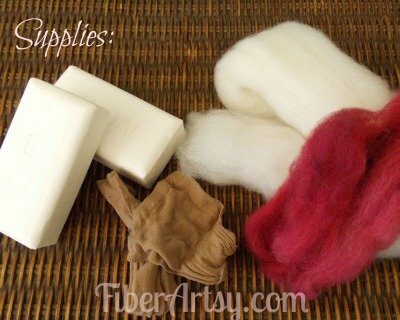 I’ve only recently seen felted soaps and you make it seem so easy! Thanks for sharing this! You’re welcome! They are fun and easy enough for kids to do as well. 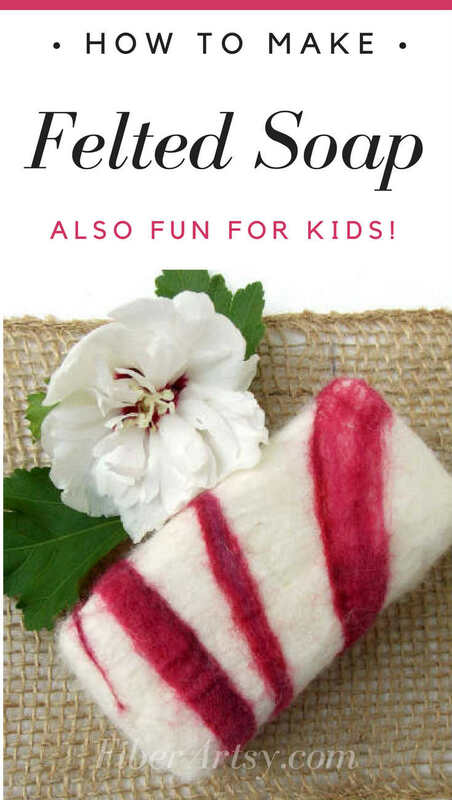 Felted soap is a great project to start with. Good activity for kids too. Thanks for popping by! This is adorable! I have never seen this done. These will make great gifts! I am pining this for later. It looks great, and you make it sound so easy. Visiting from Wake Up Wednesday Linky Party. never felted soap before. looks like a fun project. visiting from the wake up wednesday linky. This is really neat! I will have to see about trying this sometime. Would definitely make great gifts. Thank you for sharing! This is really interesting. 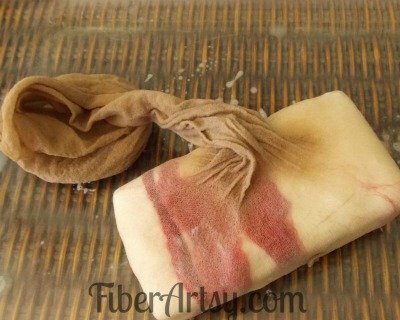 I’ve never seen felted soap before but I can see how it would be great for exfoliating. I am interested in soap making and I’m pinning this for future reference. Your blog is pretty awesome too, by the way. Thanks Jen! Soap making is on my list too. Do you have a recipe? I’ve always wondered how it’s done. Thanks for sharing, I’ll try this one day. Store bought they’re very expensive!